Canadian artist Gabriel Molina graduated from the MA Fine Art course at Chelsea in 2015. Since then, he has been busy creating new works and having shows across London. 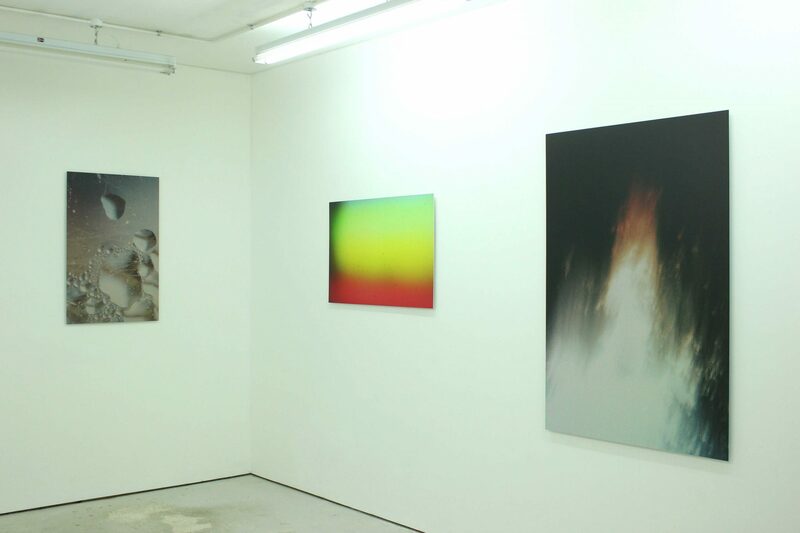 Last week he opened his first solo show at the Yamamoto Keiko Rochaix gallery in East London. We caught up with Molina to find out more about his experience of setting up his first solo show. You graduated from MA FA Chelsea in 2015, what have you been up to the past couple years? I spent a few months back home [Edmonton, Canada], and then lived in Essex last year, and worked in an antiquities auction house as an image processor. 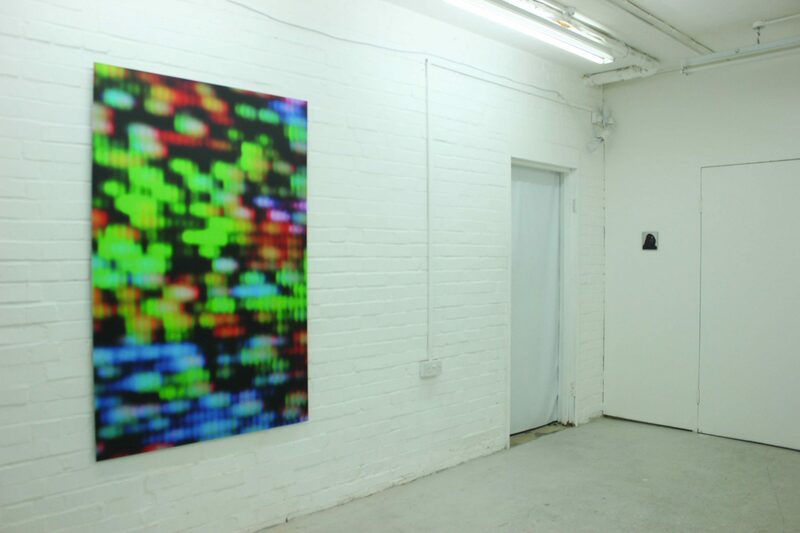 I was also in a couple of shows: a duo show at Bearspace Gallery in Deptford and another group show at Graphic Soho. I went back home again for Christmas but knew that I was going to be coming back and doing my first solo show at the Yamamoto Keiko Rochaix gallery in East London. Following your MA, have you remained in London? If so, do you have any advice for artists living/working in London following graduation? After my graduation I went back home for a few months to figure out my next move, and then came back and moved to Colchester/Ardleigh in Essex as we urgently needed studio space and there was affordable space there. If I had to give any advice it is: if you are an artist just keep making work, regardless of what you’re doing. And try to stay in London if you can, especially if you’re an international graduate and can easily get a visa, which Canadians can. Essex was nice for the nature and the night sky, but if you’re going to be so far from home, it might as well be in London as this is where it’s happening. Can you explain a little bit your practice and interests/inspiration? My practice grew out of taking photos with my Blackberry Pearl when I was doing my undergraduate degree. I started by photographing and making videos of my paintings, as well as any interesting little visual moments I’d see – what I called moments of the universe – just the little things I’d notice happening like a candle flickering onto a friend’s bass-drum at a gig, or the snow reflecting moonlight on a walk home from the studio at 2am. I was interested in how fundamental these visual moments were. I have always loved how the camera could record these little experiences. These little physical processes reminded me that there was an entire universe of amazing natural processes outside of the artificial world and society we’ve built on top of it. I’ve always been interested in science fiction, physics, philosophy, and archaeology, especially in regards to the mysterious and the esoteric, and my practice has become a way of creating these moments of mystery and wonder for myself. During my BA, I majored in realistic painting and sculpture so I was always inclined towards observation, and I’ve always spent far too much time in front of the computer, especially after graduation. Naturally the screen became a subject, especially studying it as a material to play with using cameras. After a year out of university, during which time I worked in a desk security job watching cameras on big screens while also developing my art practice, I decided to do my MA at Chelsea. In the MA I took my ideas further and began varying the technology I’d use, different devices, different displays, but always trying to interact in an analog sort of way, allowing room for the unintended happy accidents that you’d get in painting. This your first solo show. How does it feel differently to previous shows? 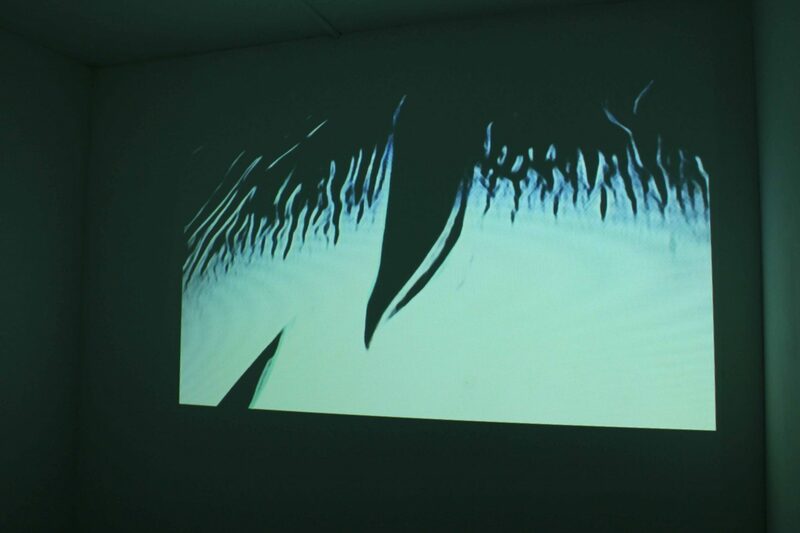 It’s very different than any other show I’ve done, even the MA Degree Show still feels very much like a group show. In a solo show there’s no one to compare yourself against, and no competition, which was liberating. As well, because I am constantly making work, and only a very small percentage of it is ever seen by anybody, I didn’t have to worry as much about trying to decide which one out of a multitude I would have to pick as I would have if I was partaking in a group show. Rather it was about trying to find a way to make a cohesive experience. My process has so many variations and tangents, especially since I tend to work in large bursts and then take months to process and sort through. There is work in this show that I did film with that Blackberry Pearl all those years ago, GIFs that I had never shown, various different projections, as well as prints. I also don’t think I could have done a show like this with any other gallery, as I have a very good relationship with the gallerist, Keiko, and she is a fan of the work which is why she’s showing it. This is the second show at this new gallery so its very much a blank canvas. The process of deciding what was going in the show was very organic, and she was willing to do whatever was necessary to make it work. It was almost like a mini retrospective, and we managed to connect very different works together, showing an underlying thread which has always been there, but is almost impossible to put words to. You have to see it to understand. The title of your show is ‘Bad Gateway’- can you explain a little bit your intentions for the show? 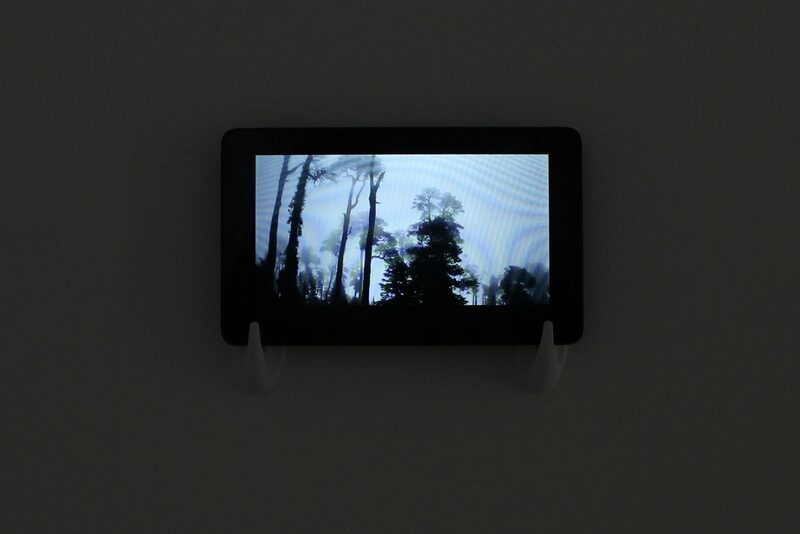 The title was inspired by the idea of screens as a portal, and as reminder that our virtual experiences are still underpinned by physical ones. As well the title was meant to be funny and keep the show grounded. Even though my inspirations are big, like the universe, I didn’t want it to sound like I was trying to recruit for a new-age cult. Its also meant to be ambiguous, as I think the show is very ambiguous. A writer I was a big fan of during my MA, Erik Davis, who in turn was a big fan of Marshall McLuhan, referred to the notion that technology amputates as much as it enhances. Technology enhances say, my ability to remember places I’ve been to via digital photographs, but I’d still rather actually go to the physical place. I speak about spending too much time in front of the computer, but I’m not an advocate of replacing our bodies with machines or being constantly connected to the internet through chips in our brains. Similarly, I don’t want to live in the forest totally disconnected from everything either. The show isn’t meant to be a social commentary, but that doesn’t mean it can’t be critical. Many of our students will aspire to have their own solo show when they graduate. Do you have any advice? Again, if I have any advice to offer, it would be to make work. It doesn’t matter where or when. Even if you’re just thinking about work, and getting ideas that you do nothing with, even if you don’t make anything new in months. Just make work that you really love and believe in, and be self critical too, not everything you make is great but it can be a stepping stone to the next great thing. If you make good work, people will notice somehow. Also get business cards. They’re super cheap, and it just makes it that much easier to get in contact with people. Seriously, business cards. And a good website with good photos, even if its just a blog! Do you have any plans for the rest of the year you would like to share? I can say right now there will be a closing reception, or finissage for the show on 1 June. Other than that I’m excited to get a normal sleep cycle again! You can see more of Molina’s work on his website and Instagram. His exhibition, Bad Gateway is open until 1 June 2017 at the Yamamoto Keiko Rochaix Gallery, East London.